These brain breaks and focused-attention practices can help students cope with stress and trauma and focus on their learning. The trauma and adversity that students are carrying into classrooms are changing how educators need to address learning and academic performance. Fifty-one percent of children in public schools live in low-income households, and when poverty levels exceed 50 percent, there’s a significant drop in academic performance across all grade levels. At the same time, 25 percent of all adolescents—including 30 percent of adolescent girls—are experiencing anxiety disorders. 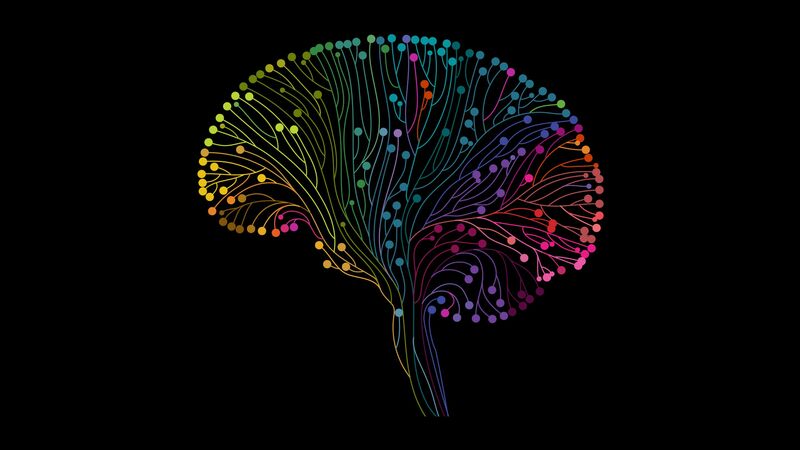 Adversity and trauma reside in our biology, not our psychology and cognition, so we educators need to prime students’ brains for learning. This calls for a deeper understanding of how our brains develop and how they respond to adversity and trauma, and how building relationships and providing strategies that promote emotional regulation can positively affect students’ emotional, physiological, and cognitive health. I’d like to describe some practices that not only address the stress response in the limbic brain areas, but also attend to sensory and motor systems in the brain stem area. Often these systems are compromised because of chronic stress that has neurobiologically reprogrammed how the brain of a child or adolescent responds to adversity. Brain breaks stimulate many areas in the brain that pay attention to novelty and curiosity, sparking the motor and sensory systems while initiating emotional regulation in the more reactive and primitive areas of the brain. Here are a few brain breaks you can try in class. Funny talk: Have students loosely touch the roof of their mouth with their tongue and begin to speak. Create a class chant to say altogether, or the teacher can address the class, modeling what he or she would like students to say. Tongue stretch: Have students use clean hands or a Kleenex to stretch their tongue as far as it can go. This relaxes the throat, palate, upper neck, and brain stem. What could you add to this to make it funny? Hum: There are many ways you can incorporate humming as a break or to begin class. Lead students in Simon Says or Name That Tune, or have them move their arms and legs to someone’s humming. This activity releases stress and blockages in the brain stem. Bilateral scribbles: Have students hold a different color marker in each hand and draw or scribble to the beat of some music for 30 seconds. When they’re finished, see if the drawings turned into anything familiar or strange. Have them share with a classmate and then give their art a name. Name scribbles: Have students write their favorite word four times with their dominant hand and then again with their other hand. Discuss how it felt, which they found more difficult and why, and what happened in their brains when they used their non-dominant hand. Focused-attention practices calm the brain’s stress response and stimulate sustained attention and emotional regulation. A regulated and calm brain is a brain that is ready to deeply learn. When we consciously use sensations, breath, movement, and our body’s awareness, we activate those areas in the brain that pay attention to what is happening in this moment, while supporting areas we need for learning, attention, and engagement. I’ll share four focused-attention practices here. Ice cube: Give each student an ice cube and a paper towel or napkin to hold. As they hold the ice cube, ask them to focus on what it feels like in their hands and what the sensation reminds them of. Can they sit still and wait for the ice cube to melt? Deep breathing: Have students scrunch their toes and cross their legs at the ankles. Then they should cross the left arm over the right arm, clasp their hands together, and—keeping their hands clasped—bring them toward their chest. Have them hold that pose for 30 seconds as they take five deep breaths, and then have them take another 30 seconds to uncurl their toes, uncross their legs, extend and unclasp their hands, and uncross their arms while taking another five deep breaths. How did that feel? So what? As students close their eyes and sit up nice and tall in their chairs, they should visualize a golden thread that connects their hearts to their stomachs. As they breathe in, have them picture a pulse in the thread moving from their stomachs to their hearts; with each exhale, the pulse travels from the heart back down to the stomach. As the students breathe, have them say, “So what?” to themselves if a negative thought occurs. Feeling phrases: To begin the day, have students share through a picture or description how their bodies feel. Some example phrases: cold/warm/hot; twitchy/butterflies/soft/stuck; sharp/dull/itchy; shaky/trembly/tingly; jittery/weak; empty/full; relaxed/calm/peaceful; flowing/spreading; strong/tight/tense; dizzy/fuzzy/blurry; numb/prickly/jumpy/tearful/goosebumpy. What are you sensing? As the teacher, begin by sharing and modeling your own sensations. Where is this in your body? What might be the reason for these butterflies? Can you draw what fuzzy, tingly, tight, etc. looks like?